In our Nuff electric skateboard review we will have a closer look at the Nuff Magneto. Nuff Skateboards was initiated March 27th 2017 over Kickstarter and we were baker No. 75 at April 18th. Just 3 months later the on July 19th the Nuff Magneto arrived in our Berlin office. Time for a Nuff electric skateboard review. 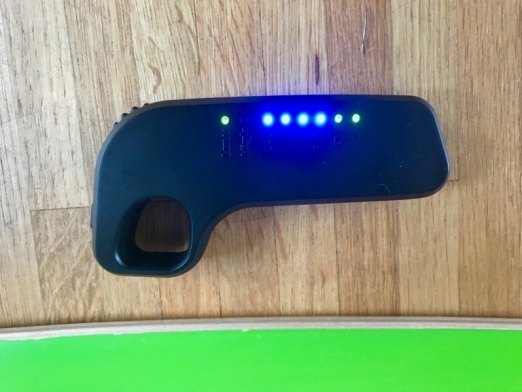 The Nuff Magneto is an electric skateboard conversion kit very similar to Mellow Drive or Onan X2, it ships however with a deck in different designs. In fact to is nothing else than a re-branded Onan X2. We will later on try the board with a different decks and share our experience. In E-Boarder Youtube channel you will find an unboxing video and a video of our initial ride. The Nuff Magneto has 2 in-wheel motors which are powered with 2,000 watt. The charging time of the 36 V 4.4. Ah Lithium battery is 1.5 to 2 hours and is good for a distance of up to 12 miles or 25 km. In order to charge the battery, you remove the swappable battery pack and connect just the battery to the power supply. The weight of the board is about 17.6 lbs (8 kg) including 3.3 lbs (1.5 kg) for the battery pack. The deck has a nice handle which makes it easy to carry. We found the battery pack is a little bit difficult to swap, but it is manageable. As an early baker we got the board for 449 USD plus shipping. This was a good price. While you get some nice marketing and potentially better local support, the price tag is very high. 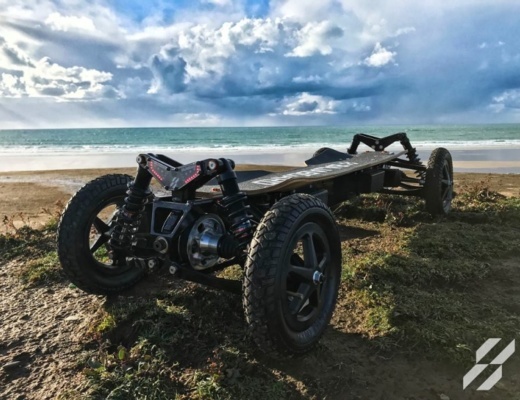 You can just buy the Onan X2 from the Onan or one of their local distributor at https://www.onan-booster.com/x2-longboard-booster for between 750 and 850 USD. Nuff Skateboards headquarters are in Irvine, California, but our board shipped to Germany from the Netherlands. 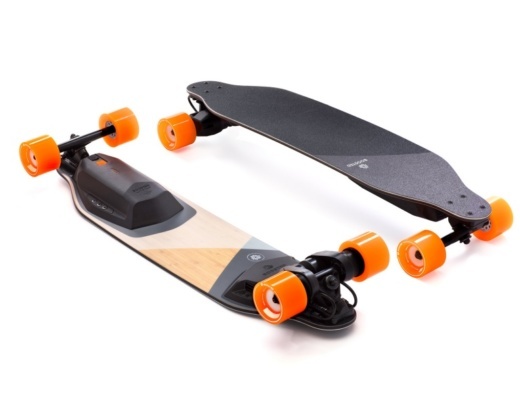 The remote control looks very similar to the BoostedBoard remote control with its speed rotary knob. It feels very well in your hand. With the power knob you can also switch between 2 modes for fast 38 km/h (24 mph) and slow 24 km/h (15 mph). The mode is indicated with 2 LED’s on the remote. 4 further LED’s display how much battery you have left in the board and 2 more LED’s indicate the battery charge of the remote control. We are now riding the Nuff Magneto for about a week and are pleased with the board. 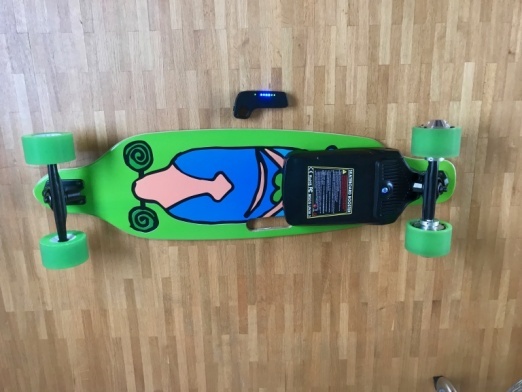 It comes with a deck (which you can change), one battery pack, front wheel and truck, remote control, charging cables, skateboard tools and the manual in English. Unfortunately no App (yet). A great board for 449 USD, not so much for 1,499 USD. You can compare the Nuff Magneto in our electric skateboard comparison with other E-Boards. Watch out for our next article and video were we will change the deck. TRACK1 by Flux Design Co.